Get ready for something you've never experienced before...Wolfpack Boxing Club is not a cardio boxing facility taught by some aerobics instructor. Prepare yourself to be put through the paces of a professional boxer's workout. 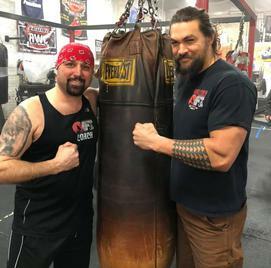 At Wolfpack, you can enjoy learning real boxing (including sparring and competition), or simply enjoy the physical benefits of it without sparring/competition...the choice is all yours! Think about experiencing the thrill of punching the heavy bag, shadow boxing in the ring, mastering the speed bag, and hitting the focus pads with your coach - not to mention potentially sparring in the ring or winning the Golden Gloves! Boxing is also great cross-training for athletes in sports that require speed, strength, explosion, quickness, eye/hand coordination, and endurance. It will also help athletes that participate in sports that involve physical contact such as MMA (Karate, Muay Thai, Jui Jitsu, Kickboxing, Wrestling, etc. ), football, lacrosse, hockey, or soccer. Our boxing classes are structured, safe (head contact is not required) and most of all, fun! Burn up to 1000 calories in one hour!! The typical boxing training session stimulates all muscle groups, and provides the perfect combination of aerobic (with oxygen) and anaerobic (short-burst, without oxygen) exercise. Indeed, the boxers' workout is guaranteed to get anyone into the best shape of their lives. Boxing used as a fitness regiment is not only the best method, but it's also fun! Possessing the skills to look after yourself gives you a significant amount of confidence. Contrary to popular belief, boxers typically do not seek confrontation. Their skills and confidence convey an inward belief that there is nothing to prove. If you have nothing to prove, you will be less compelled to prove it. However, if boxers need to protect themselves in a self-defense situation, they will be more adept at finishing things quickly and cleanly, due to heightened confidence levels and skill. When someone is confident in the ability to defend themselves physically, this often translates to a psychological benefit of self-contentment and peace of mind. Our boxing classes are the ultimate sport for countering stress. The combination of strength training and aerobic work provides the best of both worlds in terms of feeling a muscular pump and stimulating the cardiovascular system - both of which enhance psychological well-being. After a hard day, hitting the heavy bag for 5-to-6 rounds serves as a tremendous stress release. Boxing (particularly concentrating on the focus mitts) enhances the ability to relax, which helps keep the boxer calm and poised under pressure. In this sense, boxing might help one to manage their life more efficiently. Boxing allows for a direct competitive experience between two people in a controlled setting. Depending on the athletes' disposition, this can be a great self-esteem boost. Full-contact sparring, which is optional, provides the perfect platform to refine fundamental boxing skills, and a great test of physical capability and courage. 5: Boxing Helps Individuals with Parkinson's Disease! 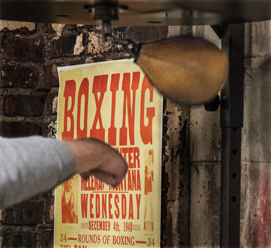 This noncontact form of boxing is helping people with Parkinson's disease fight back! The benefits of a non-contact boxing workout is widely known. Research has shown that regular boxing exercise improves balance, walking, endurance and overall quality of life! Our coaches are Rock Steady Boxing Certified! We are providing HOPE with boxing!